The Junior League of Tampa has a long history of advocating for the betterment of the community. Our Public Affairs Committee informs and educates League Members about legislation that affects our issue areas on both a local and state level. Additionally, they are active members of the Junior Leagues of Florida State Public Affairs Committee (SPAC), which represents 24 Leagues and over 11,000 women from across the state. The group has monitored legislation and advocated for issues of importance to our members for over 40 years. 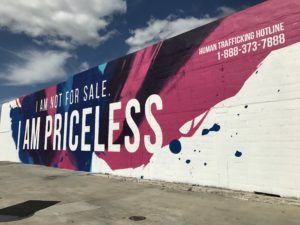 The Human Trafficking Awareness committee focuses on advocacy and training that bring awareness to the issue of human trafficking in Tampa Bay. Our committee hosts a variety of events throughout the year, all focused on highlighting the scope of the issue in the community.